Fr. 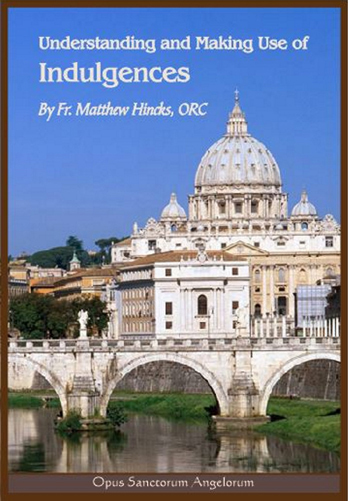 Matthew Hincks, ORC:One of the greatest, but at the same time, one of the most unknown and under appreciated gifts that the Catholic Church possesses is that of Indulgences. Learn here how you can take advantage of this great grace in order to remove the temporal punishment due to sin, and thereby advance more speedily on the road to Heaven and happiness.